A day spent downtown Toronto photographing this soon to be Mr. & Mrs. was more than we could have expected. It only took two seconds for us to feel completely comfortable with Christina and Daniel and we were assured the feeling was mutual when nothing stopped them from being authentically themselves. Taking direction from a photographer is often associated with some discomfort, but for Christina and Daniel their self confidence shone and their love for one another was evident. 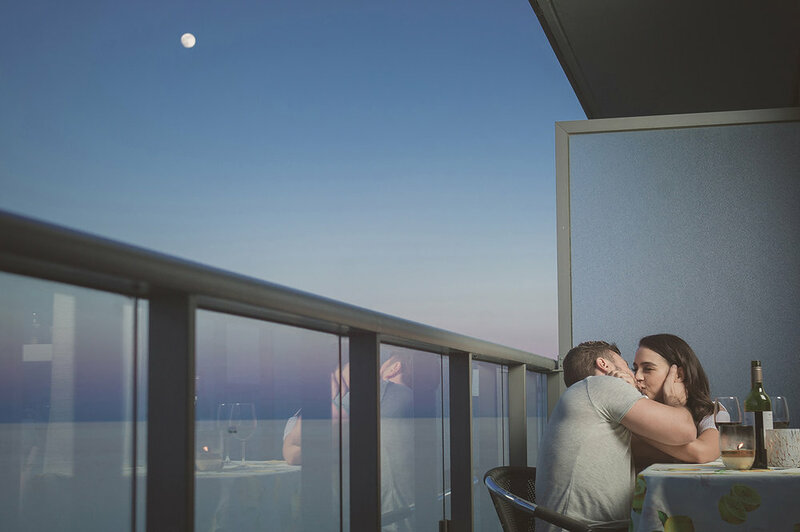 When we are getting to know couples during an engagement session we are always sure to treat each couple uniquely so that we can all establish a level of trust and comfort. Some couples like, and require more direction, while with others we prefer to say less. In the case of Christina and Daniel we began the session with some key points about posing and some direction, once we established a level of comfort the rest of the session with them, they rocked. We hit some hidden gems around the city and had a perfect day around Toronto. Our first stop was an amazing flower shop, tucked away on a side street just off of Queen Street West in Parkdale. The bold pink coloured outside wall of the Crown Flora Studio was a spot Christina had in mind for months before the session. 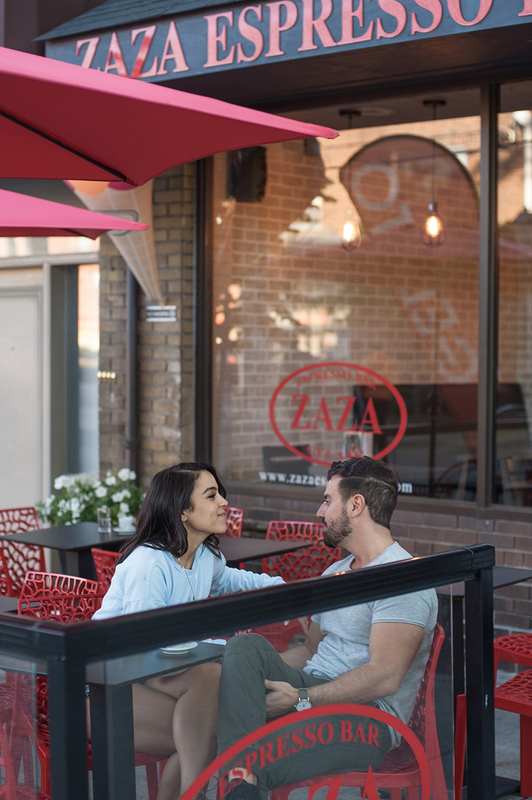 After our mini photo experience at Crown Flora we walked around Bloor West area and High Park and made a stop for some caffeine at the amazing Zaza Espresso Bar. Congratulations Christina and Daniel, we are looking so forward to your wedding, just days away now!